Upvc architrave infill trims to finish both the internal & external reveals to windows and door systems. They are often used to conceal gaps and damaged areas around the plaster or masonry to create a neat finished appearance, whilst also been able to create a weather tight seal. 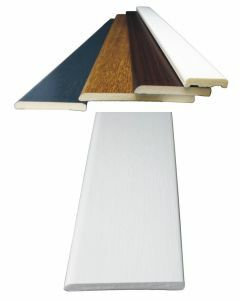 A wide selection of Upvc finishing trims & architraves. Supplied in 5 metre lengths in various sizes and colours & suitable for both internal and external use.